I'm quite pleased with how the fit came out. 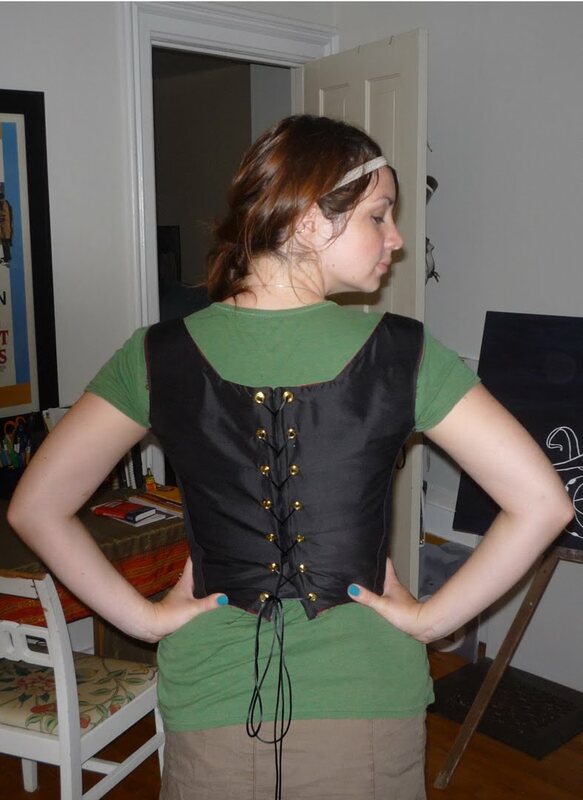 Originally, I had hoped to wear the corset I made a few years ago underneath and took the measurements accordingly. 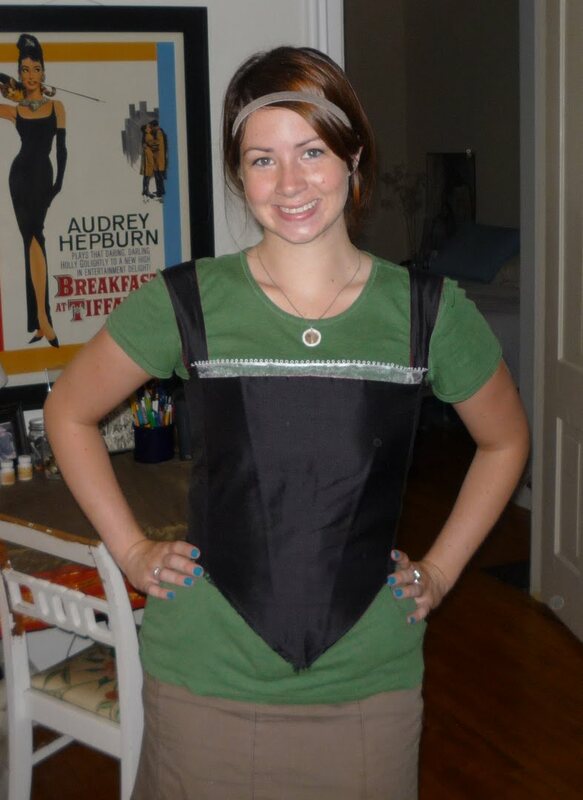 Unfortunately, the cuts of the two are completely off, the corset back rising about three inches higher than the dress and the sleeves set in another inch or so. 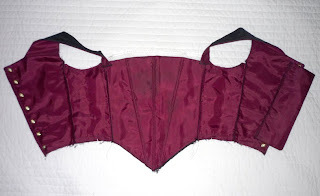 The bodice's shape comes from its boning, which sits between the lining and canvas interfacing, inserted thrice across the front panel and next to the grommets. This doesn't lift and tuck like the corset, but Tudor women didn't wear corsets, so all this talk of them is superfluous. 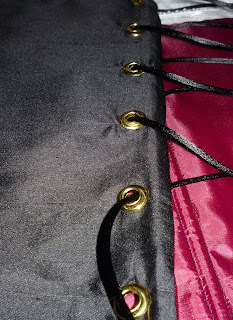 I almost sliced the top of my finger off when I was putting the grommets in, but they are a necessary evil. 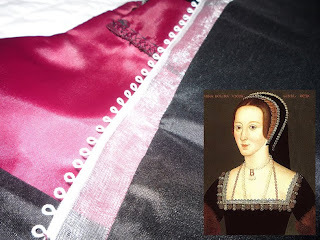 A white looped ribbon across the front of the neckline mimics the exposed portion of Anne's kirtle. I'll add a bit of blackwork embroidery detail to help blend it in with the rest of the gown. That's another car ride project. What's next? One sleeve is constructed and ready for stitching. The second is on its way. 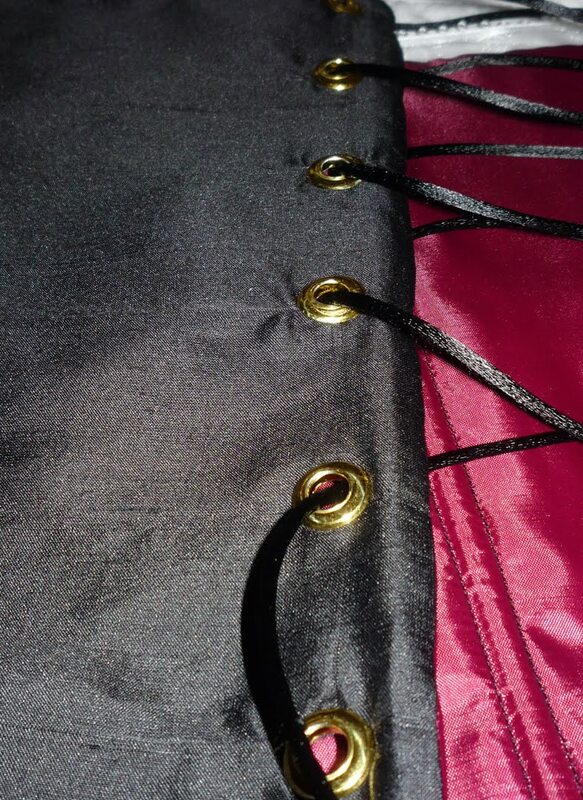 After they're attached, eight skirt panels need to be lined, connected, pleated, and added to the bodice. All by Thursday. It's going to be a busy week. I really love your work, you remind me of me in a lot of ways I.E your humour. And of course love for period dress, could you help me with the trumpet sleeve because I cannot find a good pattern but yours looks exactly the way I'd want to make mine.Thanks!! !